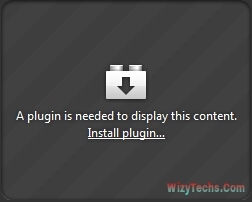 Google has hinted their intention to block flash plugins on google chrome browser for websites utilizing flash. This action will be implemented towards the end of this year and am telling you now so that it won't be as a surprise to you when it is finally implemented. Though google is not totally removing the plug-in from the chrome but it will no longer be activated at default as it used to be. Rather, the user can choose to activate it individually or site-by-site from the settings tab. Meanwhile, only the top 10 sites that runs Flash in the world will be left enabled by default. The "top 10 domains using Flash," to stop annoying people with too many prompts while browsing. Some of the top 10 sites includes YouTube, Facebook, Yahoo, Twitch, and Amazon. The above sites will have a mercy period of one year, after which the flash plugins will be removed at default just like other sites.